Obituary* 6 May 2015� Norman Culpepper, age 94, passed from this earthly life to his heavenly home on May 5, 2015. He was adored and beloved by his family, and greatly respected by all those who had the privilege of calling him pastor and friend. Norman was born in Murray, KY on May 11, 1920, the son of the late Joe Ben and Bertha Evans Culpepper. He was a graduate of Murray State University and the Southern Baptist Theological Seminary in Louisville, KY. He also served in the United States Army during World War II. Bro. Culpepper served churches in Kentucky and Tennessee from 1952 thru 2010. He preached in over one hundred churches and institutions. He participated in about seven hundred funeral and memorial services. After retirement at the age of 62, he served as interim pastor and supply preacher in many churches in West Tennessee. He was married to Kathleen Trevathan on April 12, 1941. She preceded him in death on November 5, 2005. Bro. Culpepper is survived by his three children, Shirley of Boulder City, NV, Jerry (Barbara) of Humboldt, TN and Tim (Connie) of Jackson, TN; five grandchildren, Lindy Edwards (Chris) of Boulder City, NV, Melissa Swingler (Lyle) of Humboldt, TN, Eric Culpepper (Amber) of Murfreesboro, TN, Ashley Culpepper (Beth) of Jackson, TN and Jinny Ballard (Steven) of Jackson, TN. He was also the proud great-grandfather of eleven great-grandchildren, Anna Lisa Dodge, Lauren Michelle Sauer, Alyvia Edwards, Sean Edwards, Lizzie Swingler, Ella Kate Swingler, Brock Culpepper, Bailee Culpepper, Josie Culpepper, Aniston Ballard and Blane Ballard, and his brother, T. B. Culpepper of Des Moines, IA. SERVICE: A funeral service will be held at 2 p.m. Saturday, May 9, 2015 at Englewood Baptist Church, with Dr. Philip Jett and Dr. Brent Lay officiating. Entombment will follow in Highland Memorial Gardens Mausoleum, with Dr. Larry Gilmore officiating. The family will be receiving friends on Friday, May 8, 2015 from 5 p.m. until 8 p.m., at Englewood Baptist Church, and on Saturday, May 9, 2015 from 1 p.m. until 2 p.m. at the church prior to the service. Pallbearers serving will be Eric Culpepper, Ashley Culpepper, Steven Ballard, Lyle Swingler, Jamie King and Linn Stanak. Norman Culpepper, Son, M, 9, KY/KY/KY. The Jackson Son, Jackson, Madison Co., Tennessee. Obituary of Kathleen (Mrs. Norman) Culpepper, published 7 Nov 2005. Norman Culpepper, White, Married, born 1920 in Kentucky, residing in Kentucky, enlisted as a Private in the US Army on 21 Dec 1942 in Evansville, Indiana. Bertha J. Culpepper, 12 Aug 1958 at age 77, Calloway Co., KY, 58, 16765. 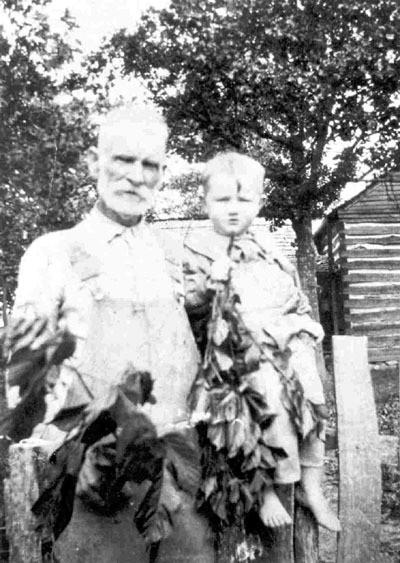 Joe B. Culpepper, 03 Mar 1967 at age 86, Calloway Co., KY, 67, 04457. Obituary of Norman Culpepper, published in The Jackson Sun from May 6 to May 9, 2015. Mahala Culpepper and Fred Reeck married on 7 Jan 1902 in Shannon Co., MO, R. L. Smotherman, Justice of Peace. E-mail written 6 Apr 2010 to Warren L. Culpepper from Margo Jodyne 'Jodi' Dills, Seattle, WA, e-mail address. 1. Dixie Bell Hill married Earl Collins and is buried at the Ball Cemetery. 2. Elfie Donnell Hill (b. 13 Apr 1928, d. 11 Jan 2006) married on 4 Nov 1949, Murl Watkins. Children are Linda Watkins Lee & Joe Watkins. 3. Nancy Hill (b. 1931, still living) married Charles E. Smith (b. 8 Jan 1927, d. 12 May 1999. Children are Brenda Smith, Patricia Smith, Jerry Smith, Donald Smith, and Tami Smith. E-mail written May 2009 to Culpepper Connections from Sharlene Thompson, e-mail address. Ada I. Culpepper, Step-Daughter, 15, MO/MO/MO. Iva Gene Culpepper, Dau, F, 2, AR/KY/AR. Helen M. Culpepper, Daughter, 2/12, MO/KY/AR. E-mail written 2007-2012 to Warren Culpepper from John Henry Taylor (#57209), Suisun City, CA, e-mail address (Apr 2012). Virgial D. White, compiler, Index to War of 1812 Pension Files, Volume I: A-F, Waynesboro, TN: The National Historical Publishing Co., 1989. Index says: "John Culpepper, WC-19280, md Mary Ferrell 15 Jul 1835 in Simpson Co., MS, died 18 Feb 1860 in Lawrence Co., MS, srv Kempe's MS Mil, lived in Lawrence Co., MS and widow also lived in Marion Co., MS" The service details shown above come from a transcription of the penison application, and the source of this is unknown. Mr. Culpepper, Lawrence Co., MS, 1841, 3 in HH. Elizabeth Culpepper, 8, F, MS.
Census 1841� Fanny was probably a free female in Keziah Taylor's household on the census taken in 1841 at Covington Co., Mississippi. Fanny Culpepper, 19, F, MS.
Elwood Edwin Kattenhorn, Male, born 23 Sep 1917 in California, Mother's maiden name: Dutra, died 24 Sep 1997 in Placer Co., CA. Louis Culpepper, Son, M, 8, S, AR/MO/AR. Obituary* say 24 Feb 2016� Campbell – Paul Edward Ogden, 98, of Campbell, passed away on Tuesday, February 23, 2016 at the General Baptist Nursing Home, in Campbell, Missouri. Mr. Ogden, son of Walter Arthur and Laura Dail Minter Ogden, was born on Wednesday, September 12, 1917 in St. Francis, Arkansas. On July 2, 1938 in Poplar Bluff, Missouri, he was united in marriage to Ila Belle Culpepper. She preceded him in death on February 11, 1993. He later married Mozell Hayes in September 1993. She preceded him in death on March 27, 2006. He was a farmer all his life and in 1944 he supplied the birch logs from his farm near the St. Francis River to build the original American Legion Post, now the Welcome Center located in the City Park. From 1960 to 1973 he was co-owner of the L & O Ford Tractor Company with Harold Lewis. In the late 1970’s he was appointed to fill out the term of Dunklin County Judge due to the death of the Judge. In retirement he and his wife, Ila Belle traveled extensively and spent their winters in Okeechobee, Florida. He was also, a member of the Campbell Church of Christ. His survivors include one son, Danny Neil Ogden and wife, Ruby of Campbell; four Grandchildren, Arthur Ogden (Tracy) of Hallsville, Texas, Lorie Ogden of Lindale, Texas, Rodney Ogden (Rebecca) of Poplar Bluff and Lara Bader (Andy) of Malden; eleven great-grandchildren, Caleb Ogden (Sharlotte), Rachel Ogden, Daniel Kennedy, Steven Kennedy, Madison Slauson, Jake Terrell, Matthew Ogden, Marybeth Ogden, Austin Bader (Amber), Ethan Bader and Dylan Bader; former daughter-in-law, Carolyn Williams. He was preceded in death by his parents; one son, Don Ogden; three sisters, Countess Buckley, Ruby Pleasant & Inez Kinchen; and infant brother, Buford Ogden. Obituary of Paul Edward Ogden, Landess Funeral Home, www.meaningfulfunerals.net. Carl T Culpepper, White, Single, born 1922 in Missouri, residing in Shannon Co., Missouri, enlisted as a Private in the US Army on 10 Mar 1943 in Jefferson Barracks, Missouri.